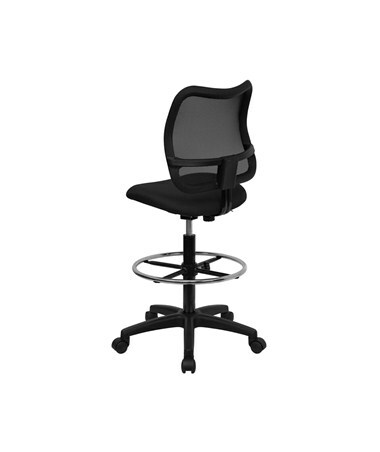 Adjustable seat height 23"- 28"
The Flash Furniture Mesh Drafting Chair has a curved breathable mesh back with built-in lumbar support. 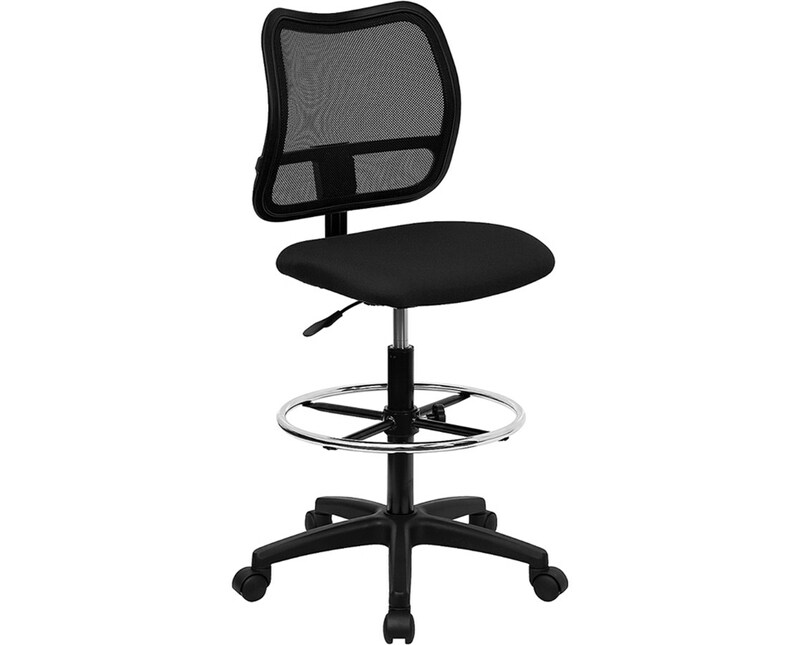 This extended height chair has a fabric-upholstered seat that is 18 inches long, 17¼ inches wide, and 3 inches thick. 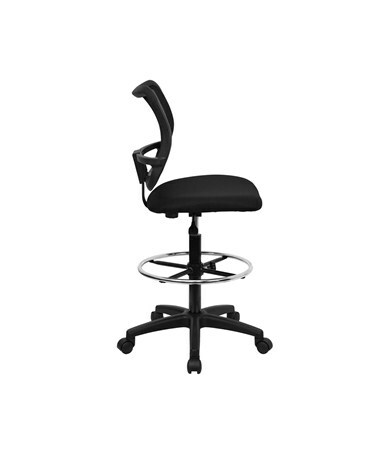 The backrest is 17¼ inches wide and 17½ inches tall. Seat height is adjustable from 23 to 28 inches. 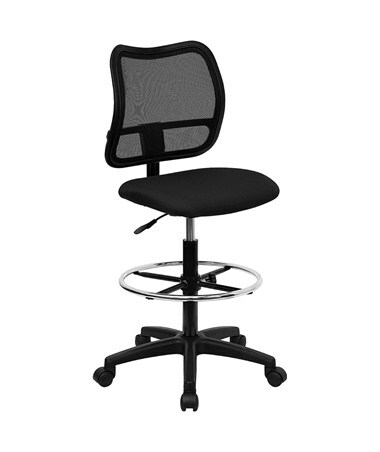 This adjustable chair features a heavy-duty nylon base with an adjustable chrome foot ring and dual wheel casters. 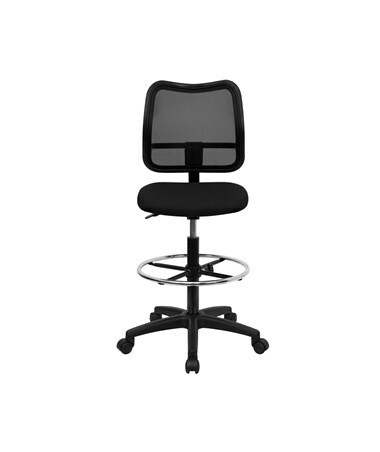 The Flash Furniture Mesh Drafting Chair is available in different colors. Please select your preference from the menu above.